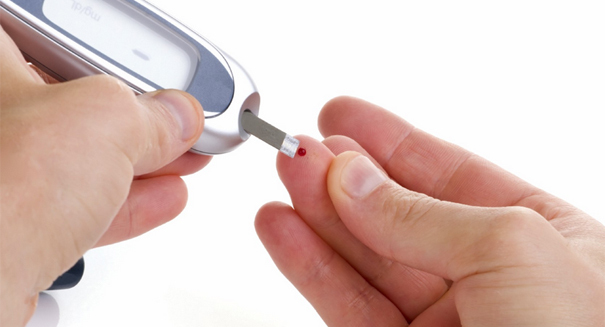 An alarming new study finds that a lot of people don't realize how at risk they are of diabetes. A new study indicates that people are putting themselves at risk of diabetes and they don’t even know it. A scientific review of 47 studies last year found that the simple act of sitting can drastically increase your chances of getting a disease or dying even if you are someone who exercises regularly, but a new study indicates that sitting can also increase your risk of getting type 2 diabetes, according to a CNN report. For the study, researchers in the Netherlands attached motion monitors to the thighs of 2,497 participants for eight days and then tested their glucose levels. They found that most of the participants sat for an average of nine hours per day. The results were alarming: just one extra hour of time sitting came with a 22 percent increased risk of type 2 diabetes, as well as a 39 percent increased chance for metabolic syndrome. So even if you work out and are in relatively good shape, if you’re a person who spends all his or her time sitting at a computer all day and then drive home, you have a greatly increased risk of type 2 diabetes. That risk goes up even farther if you smoke or have a high body mass index. What can you do to fight this? Health experts recommend taking a walking break for a few minutes every hour, and it may be advisable to get a pedometer to make sure you hit some daily goals. Also, walk around during commercial breaks rather than skipping them when watching TV at home.